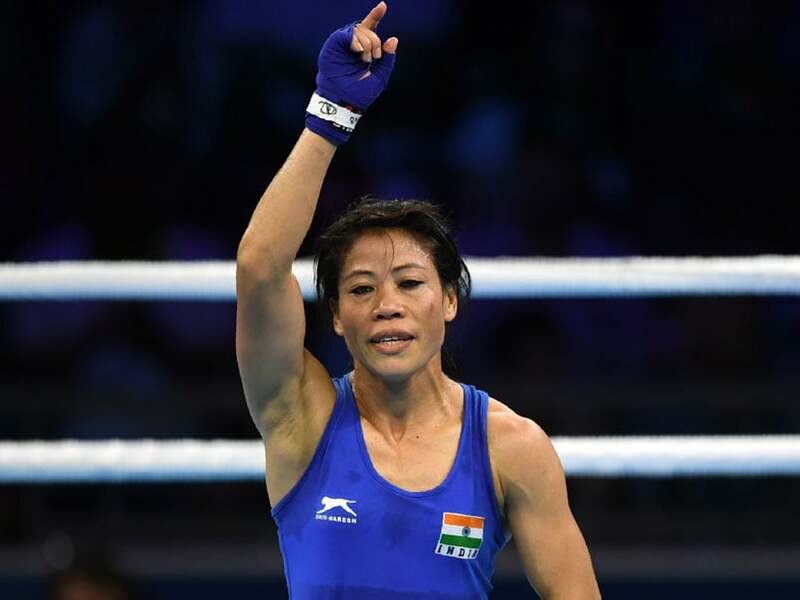 How did Mary Kom celebrate after becoming the first woman boxer to win six gold medals at the World Championships? Sitting on the ringside steps, huddled with coaches, she cried. And the more the crowd cheered, the more the tears flowed. She is the only woman to become World Amateur Boxing champion for a record six times, and the only woman boxer to have won a medal in each one of the seven world championships. Born to parents who were landless agricultural labour in the state of Manipur in Northeast India, she becomes a legend defying every odd. Life is not a set of pre-defined rules, you have to write yours. At 35, mother of 3, she is power punches to dismantle any opponent in minutes. Her years of hard work, the refusal to give up, pushing every boundary there was. The thrill, the joy of winning, the successes. The Olympic bronze, the 2020 Olympic dream, the unstoppable spirit. Mary’s story is one of relentless struggle and unflagging passion for the sport of boxing. Even three days after Diwali, the air quality remains in the ‘severe’ category in Delhi. The Supreme Court’s orders were defied, and firecrackers were used extensively, resulting in thick smog that engulfed Delhi and NCR region. Supreme Court is a highly respected and legitimate authority in India, despite being its order of regulating timings (between 2000 to 2200 hours) of burning fire-crackers on Diwali, the fire-show went on way beyond. Crackers were burned by the people of Delhi even knowing the ongoing hazard of air pollution in the capital city. Without giving an option of green fire-crackers, it is almost impossible to stop people from bursting crackers. People are irrational, restricting their choices make them curious and offender of breaking the barrier. Just like kids often do what you stop them from doing. It is almost impossible to have a reasonable effect of such restricting orders, especially when dealing with the general public. The Psychology of All or Nothing: We, as an individual, manage to undermine our contribution and tend to think of ‘all or nothing’. A change starts from an individual and spreads all over. Bystander Effect: The bystander effect occurs when the presence of others discourages an individual from intervening in an emergency situation. If we wait everyone to act before we act, no one will ever act before its too late. Availability Heuristics: Availability is a heuristic whereby people make judgments about the likelihood of an event based on how easily an example, instance, or case comes to mind. Celebrities should talk about air pollution on social media, the government should extensively campaign its hazard and solutions, politicians should refrain from making it a religious issue. Let people aware of it, let it trending on minds, the way it worked in decreasing tobacco consumption. Our propensity to label people, ideas or things based on our initial opinions of them is so high, that even two simple words have the power to influence it. Mr._____ is from the Department of Economics and Social Science here at MIT. He has had three semesters of teaching experience in psychology at another college. This is his first-semester teaching Economics 70. He is 26 years old, a veteran, and married. People who know him consider him to be a very warm person, industrious, critical, practical, and determined. Mr._____ is from the Department of Economics and Social Science here at MIT. He has had three semesters of teaching experience in psychology at another college. This is his first-semester teaching Economics 70. He is 26 years old, a veteran, and married. People who know him consider him to be a rather cold person, industrious, critical, practical, and determined. At the end of the class, each student filled out an identical questionnaire about the substitute instructor. Most students from the first group that received the bio describing him as ‘very warm’, loved him. They described him as good-natured, considerate, informal, sociable, popular, humorous and humane. Though the students in the second group sat in the same class, same session, most of these students saw him as self-centered, formal, unsociable, unpopular, irritable, humourless and ruthless! Just two words have the power to alter our perception of another person and possibly sour the relationship before it even begins. Once we get a label in mind, we don’t notice things that don’t fit within the category. Labeling is important for us to go through the regular day bombarded with information so that we can organize and simplify. But it also prevents us from seeing things as they are. Harold Kelley (University of Michigan) – The warm-cold variable in first impression of persons, Journal of Personality 18, no 4 (1950): 431-439. Search engines have two primary functions: crawling and building an index, and providing search users with a ranked list of the websites they’ve determined are the most relevant. Great Content encourages people to link to your pages and shows Google your pages are exciting and reliable. This leads to a successful SEARCH ENGINE OPTIMIZATION because Google wants to show interesting and authoritative pages in its search results. Having ranked higher in SEO helps you to gain organic traffic on your website, and the majority of search engines users are more likely to click on one of the top 5 suggestions in the results pages (SERPS). 1. Blog posts: Blog posts that are updated regularly with quality content and links directing to the relevant information. 2. Short-form content and articles: Short, quick and easy read that is well structured. 3. Long-form articles: Articles that are interesting, informative and well written. 4. Photo and visual galleries: Visualisation is easily understood by the brain without making many efforts. Also, recent developments in the technology of reading data from pictures make it irreplaceable content for SEOs. 5. Detailed and information-rich lists of information: There are 1.2 trillion searches on Google every year and many of them are for informational purposes. 6. Interactive tools and content got some good examples of those. 7. Comprehensive category landers: This would be like if you search for kitchen designs, how you might land on Houzz’s page of various kitchen designs and that’s really a lander to get you into more content, so it’s not technically a content marketing piece by itself, but it leads you into content pieces or could. 8. Multi-page guides: things like Moz’s Beginner’s Guide to SEO. 10. Video: YouTube or embedded video on a particular page, Whiteboard Friday itself is an example of that. 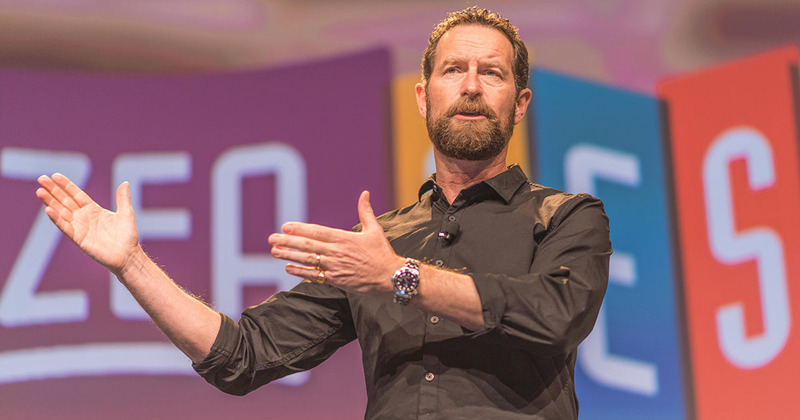 Duncan Wardle is former vice president of innovation and creativity at Disney, the world’s most creative organization, the Walt Disney Company. He now serves as an independent innovation and design thinking consultant, helping companies embed a culture of innovation and creativity across their organization. “50% excited, 50% frightened is a good place to be.” Talking about bravery and risk. Have you ever thought of pricing beyond cost + margin? Did you ever notice the way you make decisions by available choices? Did you ever feel curious when a book judged by its compelling cover became a boring read? Have you ever thought why a shirt is priced at 2999 instead of 3000? Most of the times we make irrational iterations to justify the rationality of our decisions. Psychology plays a mindboggling part in pricing and many times we fall into the trap of it and end up buying more, expensive or even useless. Psychological pricing has many forms, and you may come across many such types of things around your local retailers or grocery shops. Just like I bought apples on a relatively high price because of a sticker depicting “High Quality,” only to find them rotten inside. Damn smart street vendors! The decoy effect is definitely not the only cognitive bias that is apparent in humans. Many of us will argue that the offer I (left) is the best option. It is cheap to have both the subscription for US$15, which are worth of US$24 (US$12 each). You will suddenly feel that you are making a rational choice with a right amount of deal. Other options seem irrelevant, and you are ended up spending more even if you do not need one or other kind of subscription. Dan Ariely found in The Economist magazine and wrote about in his book Predictably Irrational but it touches on the concept of decoy pricing or the “asymmetric dominance effect” effect. Let’s take another example: The bottle with $30 tag suddenly becomes reasonable after the introduction of $50 tag bottle. Ray Dalio is an American billionaire investor, hedge fund manager, and philanthropist. But what strikes me the most is his remarkable ability to think abstractly. He is a genius of devising strategic and radically practical ways of approaching a problem and to figure out the solution effortlessly. i5: What Has Changed in Consumer Decision Making? Why do we do the things we do? What is it exactly that drives our action? What do we know about our motives? A consumer decision-making journey is not easy to understand. We rarely make rational choices in our lives and our purchases! The consumer decision journey has evolved significantly over the past decade due to the internet, digital innovation and the subsequent rise of the internet. Consumers are moving outside the marketing funnel by changing the way they research and buy products. Instead of a path to purchase that is traditionally linear, it has become more of a cycle. Moreover, it is not just dependent on products or brand, it involves channels too. i5 model involves 5 steps of consumer journey: Introduction, Inspection, Investigation, Involvement and Inclination. It defines how a consumer starts its journey by need recognition and eventually passes through various steps to develop loyalty towards a brand or make an exit to explore other options. Introduction is the first step when a consumer recognizes a need and interprets it for myriad reasons. It includes psychological as well as physiological needs. The arousal of need is triggered by the stimuli (internal and external), stronger the stimuli, stronger will be the motivation to further involvement in the decision-making process. In this step, a consumer tries to evaluate his association with brands. The salience or a brand being top of mind in a decision situation is the first critical factor. Any first-hand experience (past usage) with the brand and second-hand experiences (influencers) on social media or directly communicated by the brand. The overall positive feeling created by these experiences will nudge consumers to choose one brand over another. i5 Model of Consumer Journey was developed by Sourav Raina while he was pursuing Masters in Market Research and Consumer Behaviour at IE Business School, Spain. During the investigation stage, a consumer looks after the channel which suits the most. It may involve convenience, low prices, offers or lock into a loyalty-based program. With the continuous evolvement of e-commerce platforms and comparison sites, a consumer inclines to make a smart decision. Furthermore, the combination of both channels (online and offline) is also in use to decide to purchase. The concepts like “showrooming,” are byproducts of it. Involvement is the user experience phase or the period of usage. It is the “moment of contact” of a brand and a customer. Involvement creates experience and experience shapes inclination. How well a brand delivered against expectations is critical to developing the loyalty loop, advocacy and repurchase decision. An unsatisfied consumer exits the journey to look after further options. To me, nudging is a compelling idea of doing small & yet powerful tweaks to assist people to make the right choices (which is right for your brand to gain the competitive advantage). I had started using Nudging when I was working for Asian Paints Ltd (Forbes 10 most innovative & leading home-décor companies in the world), a part of my job was to convenience distributors that why we offer the best deals (despite being the most complicated calculations we had in our sale promotions). To re-arrange the offerings most simply and to calculate it in a way a distributor can understand without changing the overall cost. Reference to my experience, I feel that it is one of the most robust processes a person or organisation can use to get the job done. Notably, for marketing and sales people it is an excellent opportunity to learn and put into action. Nowadays, nudging has recently even proven popular with governments around the world. Relying on insights from behavioural science, nudging seeks to improve people’s decisions by changing the way options are presented to them. Interestingly, it does not change the options themselves nor the costs and beneﬁts associated with these options. HOW WE “NUDGE” IN DAILY LIFE? 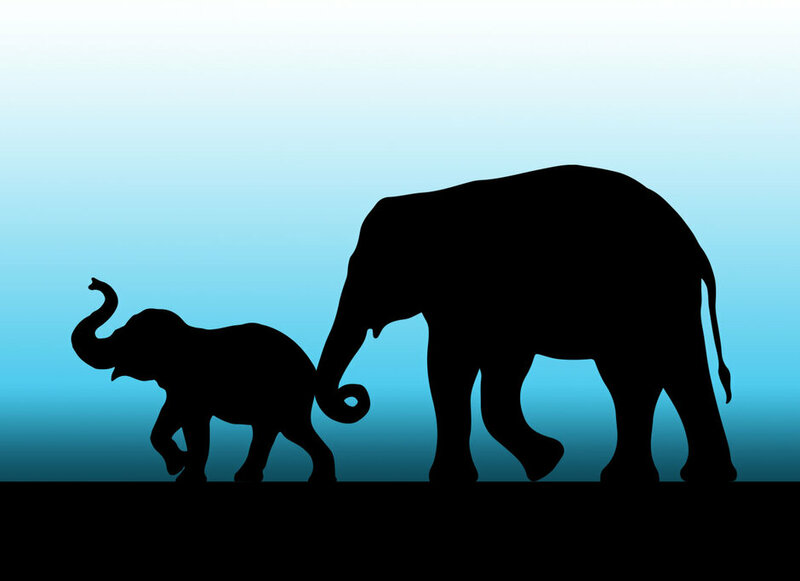 Nudging is a widespread phenomenon, and we are tempted to nudge under various circumstances. For instance, I repeatedly noticed many times that whenever I jaywalk in streets (needlessly when vehicles are either at a distance or no traffic), it tempts people to follow the same, even though they were patiently waiting before. In such a way I benchmark a kind of behaviour under given circumstances that people feel nudged to adapt. Moreover, in our daily lives we come across the stigma of too many choices, and thus, it makes us confuse to choose the best for ourselves. Now a day, even choosing a bottle of water is a difficult job, provided the number of choices. But having assisted at various level to make a right decision is nudging. I, also, wish to share an experiment that I have carried out during my Master at IE Business School. One of my classmates was so shy to speak in the class, and she was on the verge of losing her participation marks which consist of roughly 30% of the total weight. I spent so much time to motivate her to speak so that she could score better as she was hard-working but very shy to talk most of the times. In one of CONSUMER BEHAVIOUR classes, I wrote “30%” on a piece of paper and inserted in the back of her “name-plate”. By doing this little thing, I noticed something unusual; she spoke three times in the same class. It never happened before, I have never been able to convince her vocally to talk even once in any class. Eventually, she ended up being one of the best presenters in the class. Secondly, that the public and private sectors should also be encouraged “to steer people’s choices in directions that will improve their lives”. For example: “Putting the book at eye level counts as a nudge. Banning mobile phone does not” (just in case parents want their children to use less technology). This is because it will increase the likelihood of children to grab a book to read- for their benefit- but they should be allowed to choose the either. Nudge works more in a subtle way, and while this may appear inconsequential when compared to more forceful forms of communication, Professor Thaler argues the fact people can be “greatly influenced by small changes in the context”, and, as such, relatively minor alterations to the status quo can “move people in a direction that will make their lives better”. HOW TO CONSTRUCT AN EFFECTIVE NUDGE? While nudge is a great tool to change the behaviour of consumers. It is even more critical to constructing it efficiently to maximise its benefits. Following are points that should be taken into consideration while forming the effective nudge. Incentives: It is essential to know who is benefitted and accordingly whom to be targeted to nudge by offering specific incentives. For instance, consumers do not always notice gradual increases in the prices of their energy bills as a means of attempting them to reduce energy use but may pay more attention if a thermostat told them how much money they would save by turning it down. Understanding Offering: Understand the type of product or service an organisation is offering and map it in a clear and comprehensive for customers. Defaults: Setting a default eases the course of action, it helps consumers to choose well among many choices. For instance, setting a default amount to add in the wallet-app help consumers to make a decision easily. Give feedback: Tell people when they are doing it right or not. For instance, a red-sign on battery indicator in the laptop means to plug the charging, and a green sign on the dashboard of the car is an indicator of the efficient driving skills. People will eventually start taking it a default course of actions, and it can change their habits dramatically. Brands now call it “Nudge Marketing.” Compelling consumer to desired in a certain manner by “nudging” them with a market message that straddles the sensitive adjust of not being too delicate and inconspicuous nor being too blundering and strong. In the times when consumers are living in an era in which if overflowed of information, it is getting increasingly difficult for marketers to communicate in such a manner that it would not perceive as “too much” at the customer end, such brands lose their relevance and trust of the consumer. Also, to ensure that consumers can understand the product well and find it easy to use is the most prominent challenge due to time-factor and wide availability of choices. A brand that can nudge well can win the race. Not just regarding communicating well but being involved with consumers in their decision-making process. Such brands enjoy the high level of loyalty and trust of the consumers. Apple is an excellent example in the context of nudging. The extremely high success of the iPhone and iPad is far dependent on the fact that they are highly user-friendly that both simplify and enhance the consumer experience. Apple doesn’t rely on the fewer choices but also ensures that the offering should desirably delight the consumer. Thus, consumers place higher trust in their offering and perceive it as a highly aspirational choice. Also, Apple nudges its customer by offering a new highly innovative and fundamentally different device every year, even without being communicated to upgrade (for example from iPhone 8 to iPhone X), customers feel nudged to grab the latest. The prospect of nudging can also play, a broader role when it comes to corporate social responsibility. With the growing demand for health-conscious and environment-friendly products, brands can potentially nudge their consumers using consumer insights, to change behaviour or habit and to adopt healthier and more sustainable products. It can be ranged from self-hygiene to responsible use of natural resources. In an era when the world is talking about sustainability and customers are looking for healthy substitutes, brands are in a privileged position to be actors of change in society thanks to their daily relationship with consumers in the home and elsewhere. There is no doubt about the power of storytelling, its fascination and ability to strengthen the recall of a brand. Humans quickly connect with stories, and it helps them to remember things longer. A story activates parts of the brain that allows listeners to turn the story into their own ideas and experience. However, there is very little empirical evidence exists of their effects on consumer responses. As storytelling is becoming another mainstream mode of advertising, what kind of stories a brand should tell to keep it outstanding and clutter-free. Should a story be of a fearless rebel or gentle? That depends, which route is imperative and how well customers associate themselves with it. However, there is a risk of polarisation, and lack of purpose can doom the image of a brand. Controversial brands are often quick to rise and fall as they get drown in the tsunami of trends and become out of space. Amidst a generational shift, Millennials will comprise more than one of three adult Americans by 2020 and 75% of the workforce by 2025. Brands have to re-consider their current positioning and how they can effectively connect with the next generation, as reports suggest that millennials prefer brands with purpose. Purposeful storytelling is the better idea with sharply honing the context of timing. That is what Nike did it with its 30th-anniversary ad. The decision by Nike to use Colin Kaepernick as the face of the ad campaign celebrating the 30th anniversary of ‘Just Do It’ reflects a brave move driven by the purpose of “Believe in Something.” Meanwhile, people reacted against it on social media, but surging sales of Nike clearly tell a different story. Nike stood for the purpose of non-violent civil protest as a proud legacy of America, and the world is loving it. What is fascinating from a marketing aspect is how this one ad has wholly redefined Nike’s brand purpose. How exceptionally it conveyed the message of moral excellence and the meaning of success in the world. Also, it will reinforce Nike’s connect to Gen-Z as a purpose-driven brand to help solve social and environmental problems.